“We needed an intelligent, mobile solution that would assist our field sales team in providing the right customer service,” said Rosslynn Law, Operations Director at Whyte and Mackay. In addition to the investment in the overall brand improvement project, a mobile solution for the new field sales force was a vital component for the benefits it could deliver to the sales team in the field and also office-based management. After examining a wide range of possible solutions and different technologies, including laptops, tablet PCs and handheld devices, the team selected AFS Retail Execution to deliver the mobile solution to the new sales team and GPRS-enabled handheld devices. Company-wide productivity increases. With AFS Retail Execution, Whyte and Mackay has an automated system meaning tasks are completed in real-time and representatives are able to focus on customer relationships and building the business. Management is also provided with a clear understanding of the brand’s positioning throughout England, Scotland, Wales and the Channel Islands. At the outlet, the AFS Retail Execution solution guides the representative through the call process, providing full customer details plus brand and product information: this enables efficient ordering and replenishment. The system can also provide marketing support. The system affords rapid response because it syncs with Whyte and Mackay’s central server immediately after the sales call. This means that the company can respond immediately to low stocks, competitor activity or successful promotions. New products and services can be integrated immediately. When an order is taken during a sales call it is instantly emailed to the nominated wholesaler. This dramatically improves availability as orders can be added immediately to the customer’s next delivery. 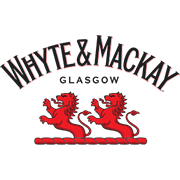 Intelligent, real-time data from the field dramatically improves availability and enables Whyte and Mackay to service its customers more effectively. The company estimates it has contacted more than twenty percent of its target customer base and has more than 5,000 new distribution points since the system was launched. The system also enables sophisticated market analyses, such as the ability to identify all the accounts in the UK that are stocking a given brand or category, meaning Whyte and Mackay can plan and flex the optimum range and promotions. “The project has already delivered greater brand awareness, greater visibility and greater demand. It has also meant that we can immediately fulfill that demand,” said Law. Knowledge building and transfer are also easier: the sales force is able to train customers with educational material, such as, video clips, explaining product heritage via the handheld device. The drinks category is a complex one, and customers’ knowledge is essential to building consumer demand, as bar staff are frequently asked for their recommendations. The initiative represents phase one of a multi-phase project with the next phase of the project based on current learnings. Whyte and Mackay is a global spirits company with a prestigious portfolio of brands, including Whyte & Mackay Scotch Whisky, The Dalmore Single Highland Malt, Isle of Jura Malt Whisky, Glayva Liqueur and Vladivar Vodka. In 2007, the company began a campaign to boost its brands and market presence. A state of the art production facility was opened and sales and distribution of its flagship brands was brought back in-house with a new sales force to target some 140,000 on-trade outlets in the UK.